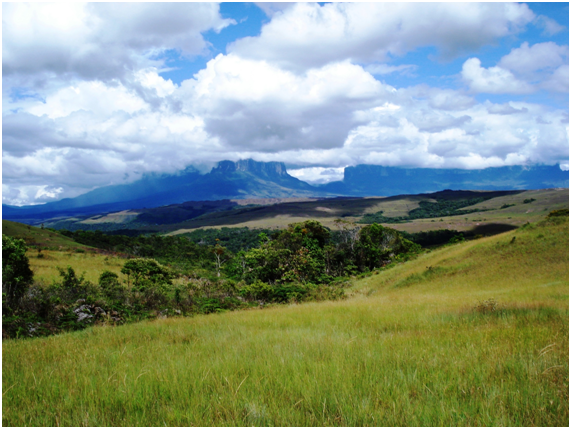 Why did you decide to come to Roraima? Asked me one of the tour guides with whom I undertook the adventure to the emblematic table-top mountain or tepuy. “I wanted to see something extraordinary”, I answered him, and he smiled me back making me know I was in the right place. There are thousands of trips you can do around the world, some will be easier than others, some longer than others, but among all of them, there are extraordinary places that more than a tour, became places that will inhabit us forever. That is Roraima. I have never been to Canaima, this gigantic national park of three million hectares in the Southeast of Venezuela, Bolivar State, famous for the landscapes of the Gran Sabana and especially for the tepuyes, those mountains with flat tops possessing endemic flora and fauna that does not exist anywhere else in the world. I have always wanted to go there. On another trip, I met a Swedish tourist and she took for granted that I had already done the trekking of Roraima since I am from Venezuela and a great lover of trekking, but when I told her that I hadn’t, she exclaimed astonished: But is among the top five in South America! After feeling ashamed for not having gone yet, I began to seriously plan my encounter with the Tepuy. I found many agencies on internet that offered the tour, with a duration of six days, including the most economical option of hiring independent guides. As at that time I did not have my own equipment like tent, insulation mat, or cooking for camping, I decided to take an all-inclusive package offered by an agency. I chose between the available dates and they included me in a group. 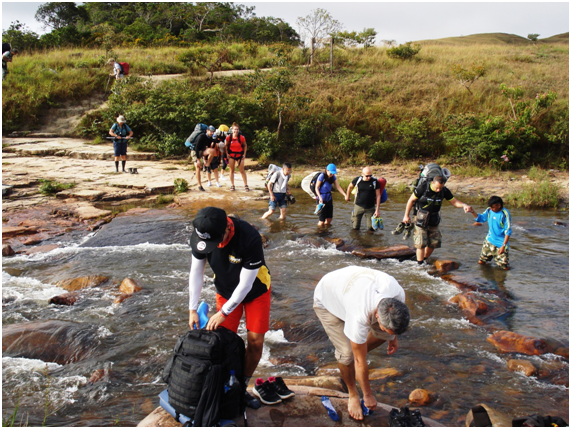 The next step was to find out how to reach to Santa Elena de Uairén, the most important town in the Gran Sabana, at only 15 km away from La Línea, a border checkpoint between Venezuela and Brazil, with all kinds of facilities and where the trip to Roraima starts from. From Caracas, the capital of the country, to Santa Elena de Uairén are 1257 km, more than 20 hours by land. While from Puerto Ordaz, the capital of Bolivar State, is 587 km, approximately eight hours by land. I decided to travel by airplane to Puerto Ordaz early morning and when I arrived 60 minutes later I went to the closer bus terminal. I hastened to buy my ticket to Santa Elena de Uairén, because sometimes there are many people and the tickets are sell out quickly. Ready, my departure was scheduled for seven in the evening on the same day. The bad thing about travelling at night is that you cannot see the landscapes, but while riding on the bus I was imagining how it would be the Gran Sabana (great savannah), after having seen it in so many photos and on television programs. During the trip, we went through three different checkpoints for inspection. In the last place where we got off to be revised at dawn, I had my first glimpse of this unique place in the world, pride of Venezuela and decreed by UNESCO in 1994 as a World Heritage Site. A light mist surrounded us, but in spite of that, the infinite Savannah was already deployed before my eyes. 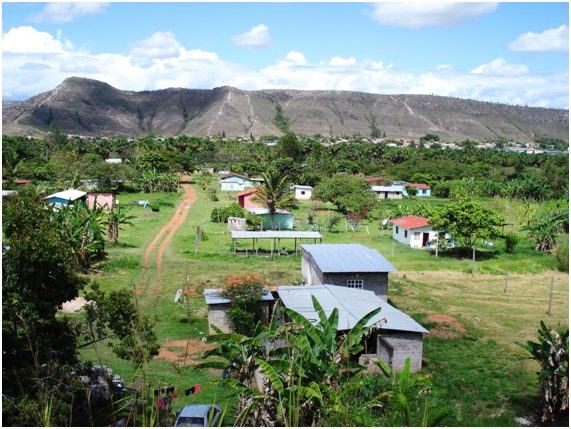 I arrived in Santa Elena de Uairén and headed to the inn where the agency that would take me to Roraima was located, and where I would spend the night. I will meet the guide during the afternoon, who would give us the details concerning the tour that we will make next morning. Our guide, Marcos, a member of the Pemón ethnic group, has several years taking people to visit the wonders of Roraima and speaks several languages. He explained us how the itinerary will be, what we are going to eat and how we should pack, for which he gave us a thick plastic bag to put everything inside, make sure to close it tightly and then put it in the backpack, this to prevent our thing to get wet while crossing rivers or if it is raining. 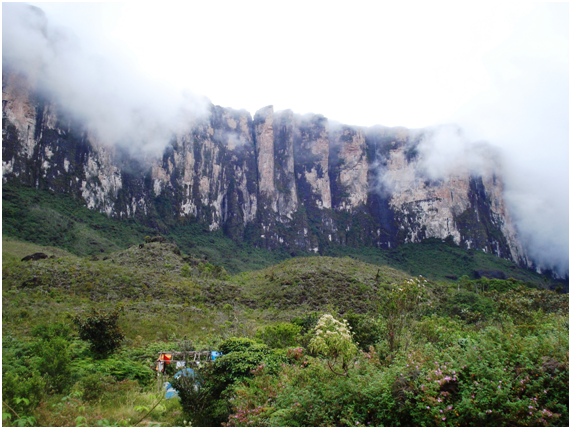 The humidity in the Gran Sabana is high, so it keeps it from drying out. It was a varied group of people, of the 21 people who will make the excursion, seven were Venezuelans, two Brazilians, one American and the rest from distant countries, like Japan, South Korea, Russia, Austria, England, Italy and Germany. 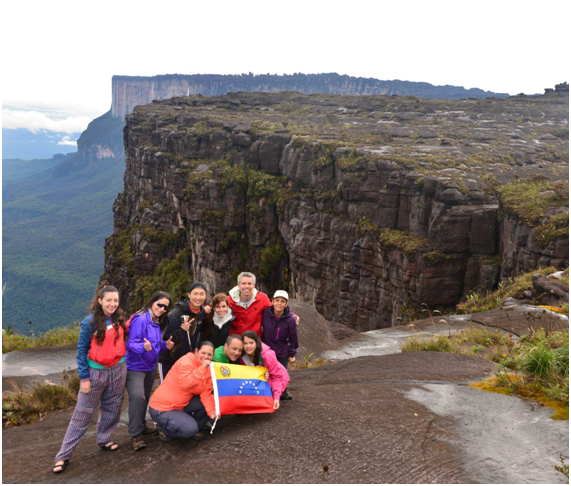 Roraima is worldwide famous, and people come from everywhere to climb it. The next morning the Jeeps arrived, we packed into our cars and headed to Paraitepui, making a stop by the indigenous community of San Francisco de Yuruani, in case someone wanted to buy something at the last minute. 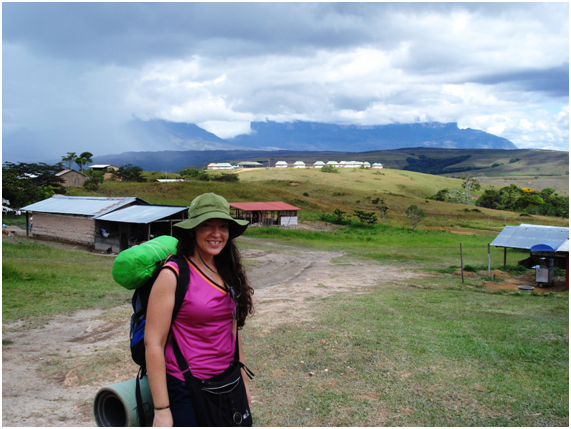 We arrived approximately an hour and a half later to Paraitepui, a small village of the Pemón indigenous community, the last accessible place and the closest point to the mountain Roraima (22 Km). All the excursions to the Tepuy depart from here, it is the point of control of Inparques (National Parks Institute) where you need to register, you can also hire guides and transporters and get the entry permit. 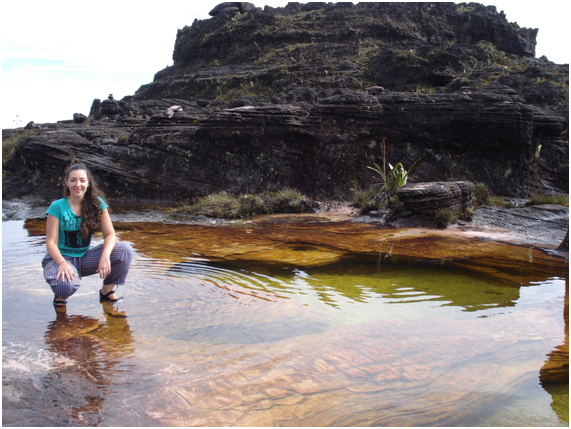 It is forbidden to go to Roraima without a guide. 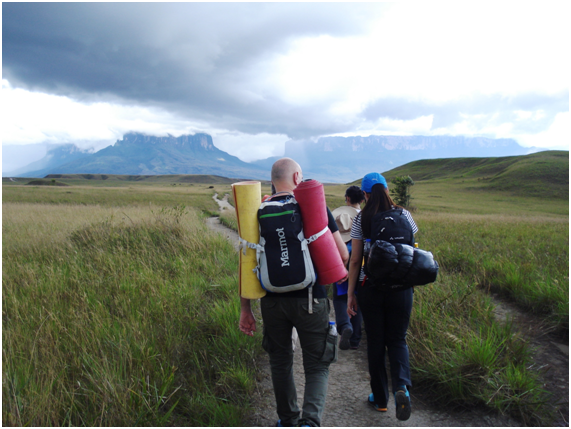 We grabbed our backpacks, we took pictures and visualized our goal, the Roraima, accompanied by its twin mountain, the Kukenan Tepuy. After our guide organized the group of transporters, who were responsible for carrying the cooking implements, food, tents and the portable bathroom, we were ready to start this fascinating adventure. We started the first day of excursion around eleven o’clock in the morning. According to the regulations of Inparques, people were not allowed to enter the park before two in the afternoon to avoid people to be on the road at night. The distance from Río Tök, the first place where we will camp, is approximately 14 Km. The imposing open Savannah unfolded before our eyes while the sun was intensifying, so it is imperative to wear a cap or hat, sunscreen and hydrate constantly, there are streams where you can refill water. Our guide went ahead and each member of the group was at their pace, there is no chance of getting lost, the trail is well marked. We were stepping on the so-called Guiana Shield, which is considered to be the oldest metamorphic rocks formed on Earth, whose age range between 1500 and 2.1 billion years. The weather was cool and cloudy, so that the hike, which has slight rising and falling, was not difficult to do. Along the way we ate some snacks like biscuits and fruits we were already coming back to our camp area by four inthe afternoon: Tök River, a large area where the groups of hikers are camping from the first day of arrival. Our team set up the tents and let our things stowed inside. Whoever wanted could get to the nearby river both for collecting water as well as for bathing, it is important to use biodegradable soap and keep in mind that there are “Puri-puri”, very annoying tiny mosquitoes that stick to your body to eat a little of your blood, the repellent is not very effective with them. Already we were dressed and the air was fresh, the conversations emerged regardless the different languages spoken by each one, we focused on the beauty and serenity of the landscape that surrounded us and our desire to eat soon. Our guide soon told us that the dinner will be served around seven at night, in some wooden tables located in houses made with adobe and thatched roofs. In the meantime, they explained to us how to use the portable bathroom, a special tent with a plastic toilet bowl covered with black bags which we must tight after use it, put lime inside and placed it on the ground. Its use is indispensable to maintain the place clean, since stool should not be left there because they affect the environment. 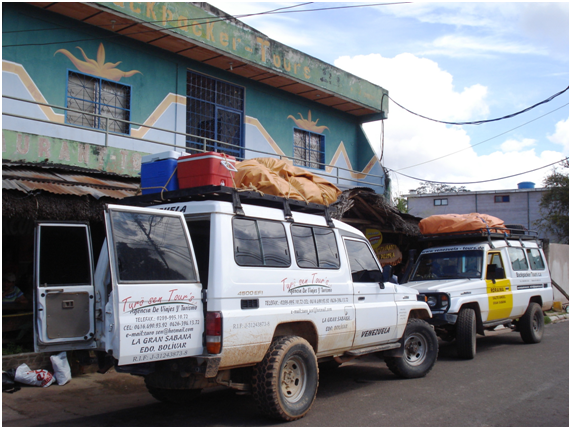 The transporters are responsible for the collection of the bags at the camp, up to the top of the Tepuy and for taking them back to be discarded in the garbage binsarranged in Paraitepuy. The campers can urinate anywhere out there. We sat to eat a nice pasta, with sauce, tuna or meat, as desired, and at the end of dinner we witnessed the impressive starry sky that can be seen in the great savannah, a banquet for the connoisseurs of astronomy. 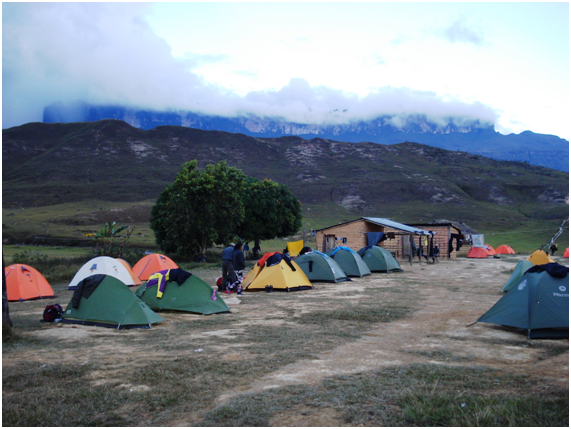 Usually we sleep early in the camps because the next morning we have to get up early and began at dawn (which should not bemissed in this place), we ate arepas with coffee at breakfast, cleaned everything and continued our way. 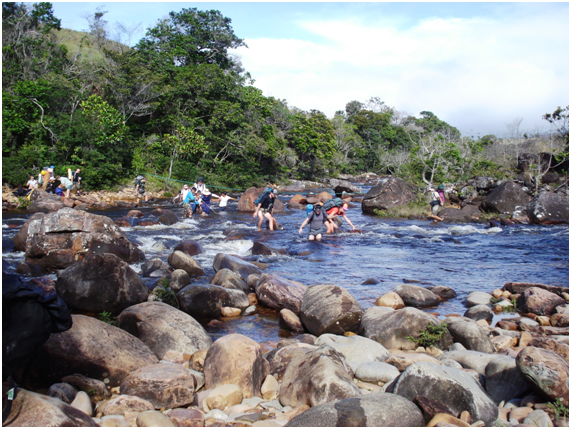 Our goal for the second day of excursion was to reach the Base Camp, which is about 9 km away, for that we must cross two rivers at the beginning of the tour, first the Tök and later the Kukenan. The guide, with his assistants, told us that we must take off our shoes and cross the river with the socks on, the reason for this was that we had better grip on the stones. As the water level of the rivers was decreased, it was not difficult for us to cross the Tök. Fortunately, no one slipped or fell, we all had a good time there. We continue along a hill and we spotted a small church and a while later there was a steep descent that led us to the crossroads of the river Kukenan, this is a larger river with a rope in order to walk more safely, here the water touches our tights so I prefer to hold the guide’s hand who helps me to pass the river slowly. We put on dry socks and boots when we reached to the other side, and we continue our way. The landscape is typical of the Piedmont Tepuyano, with open savannahs, with few shrubs and some fallen rocks. In this section, there are some hills but always slightly inclined. The heat accompanies us as we move forward and there are no shady places to rest, so it is best then to continue, even at a slow pace and to be able to rest and eat in the Base Camp. When we were a few meters from the Camp, a light drizzle cools us and we saw the huts built with wooden logs. Marcos, our guide, arrived before us and told us where to locate us while they prepared the food. I left my backpack and walked around the place, I have the boots covered in mud so I asked about the river and I went there to wash them a little. 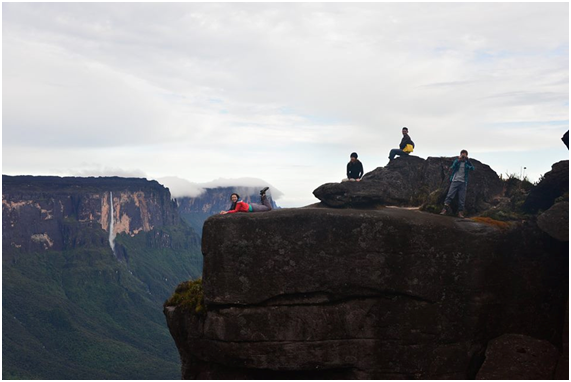 In that way, I saw something huge: the facade of the Roraima, the emotion is triggered. I washed my shoes and also took a bath in a pool formed by the river, that frozen water energizes anyone, but I slept little that night, I was too anxious to ascend the Tepuy the next day. 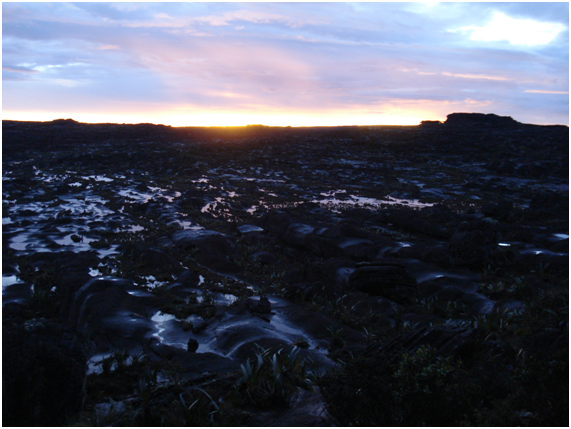 I left the tent before five in the morning, I wanted to go to the toilet, the purple and orange colour of the sky during the sunrise was like a tapestry on which the wall of Roraima was posed, it looked like a paint, something magical. The chefs of the group were already preparing the breakfast, today was finally the day I will climb the mountain, so again I had to gather everything early in order to reach the top of the Tepuy at noon. We had arepas, coffee and fruits for breakfast and each member of the group organized their backpack to leave together. The guide showed us the way to enter the so-called “Rampa”, a natural cleft on the wall of the Tepuy that serves as a way to get to the top. At the beginning, there is a little inclined hill which you can reach it using your hands and legs, after this most of the ascent is made through remains of rock. It is important to keep an eye on the floor to prevent falls on slippery areas. There is 2.5 km to the top of the mountain, going through a tropical humid forest with lush vegetation, many of them endemic to the place. Shortly before reaching thetop, we find the so-called “Paso de las lagrimas”, perhaps the only really dangerous stretch of the path. There is a very slippery slope in gravel and rocks where you have to climb and cross a semi-permanent water fall. Then we continue to climb until we see some huge black stones with strange shapes in the mist, with rare plants and a pink sand floor, we reached the top! 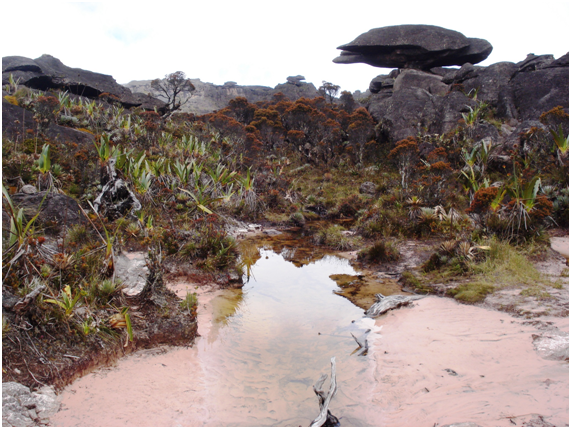 While the rest of the group was arriving, we contemplated this landscape from another world that offered us the top of Roraima, the highest mountain in the Guyanese region with 2,723 meters and 34.8 square kilometres of surface. Our guide took us now to one of the nine “hotels” that owns the Tepuy, which is nothing more than a natural cavern where the camp is installed. We were right in front of the “car” or “Maverick”, the highest point of the place and that look like a car. It was just noon so we had lunch and then we went out to do our first walk around the Tepuy. Marcos, the guide, told us that we should avoid screaming because this could disturb the spirit and could start to become cloudy and to rain. 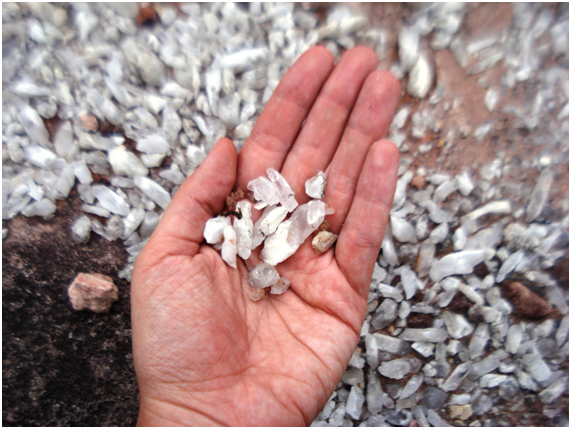 The itinerary of the day takes us first to what is known as the “Valley of the Crystals”, an incredible landscape with black rocks, pieces of white quartz. The guide warns us that we should not take them with us. 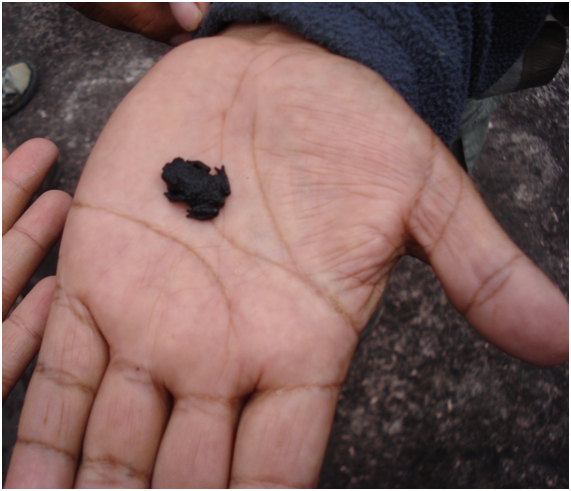 Over there we also encountered a curious inhabitant of Roraima: the tiny black frog Oreophrynella, endemic animal of the region. 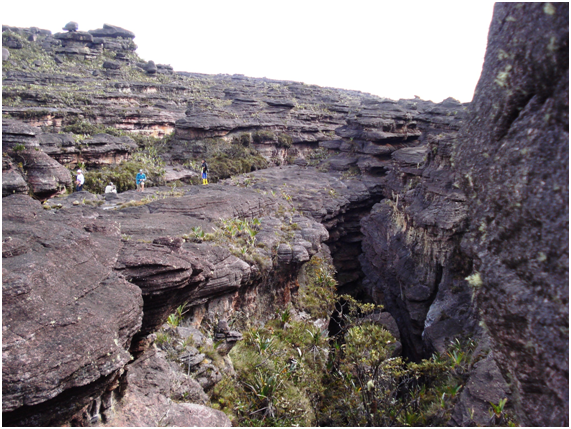 The second route is towards a viewpoint known as the Abyss, we are lucky because is clear and we can see the panoramic view of the vertical walls of Roraima and also the low altimontanos forests of the Gran Sabana, always green thanks to the high levels of precipitation ranging from 1,800 to 2,000 millimetres. When we returned to our camp in the afternoon. When the night begins to fall, we began to feel the low temperature at the top of the Tepuy, which can reach 5 º C. Before going to rest in our tents, we agreed to get up the next day at five in the morning and see a Tepuyero sunrise, we were not disappointed, the sun was appearing and fading the rose and bluish colour of the sky, making the wet black rocks shine on the mountain. On the second day on the top of the Tepuy, we went to the viewpoint known as La Ventana Kukenán early in the morning, the twin mountain of Roraima from where the second highest waterfall in the world emerges after the Kerepakupai-Vená or Angel Falls. In the midst of this extraordinary landscape and we prepared breakfast while we were taking pictures on the edge of the precipice, I think that those pancakes with cheese will not be forgotten. Moreover, the guide explained to us that the different falls or waterfalls, although they are temporal, they reach impressive heights and are the sources of the rivers Arabopo, Cotíngo, Waruma and Paikwa, which in turn feed respectively the rivers Orinoco, Amazonas and Essequibo, reason why the indigenous Pemon call Roraima “The mother of all the waters”. The surprises would continue and the next point to know was the famous Jacuzzis, small shallow pools with beautiful bottoms of quartz crystals and those who plunged endured the frozen water. We found the Heliamphora nutans along that path, a carnivorous plant that traps insects and is part of that 33% of the endemic species at the summit of the Tepuy. We returned to our camp for lunch and in the afternoon, we went to visit some impressive clefts in the rock, on which we could jump to move to the other side and see small pools formed between the rocks. 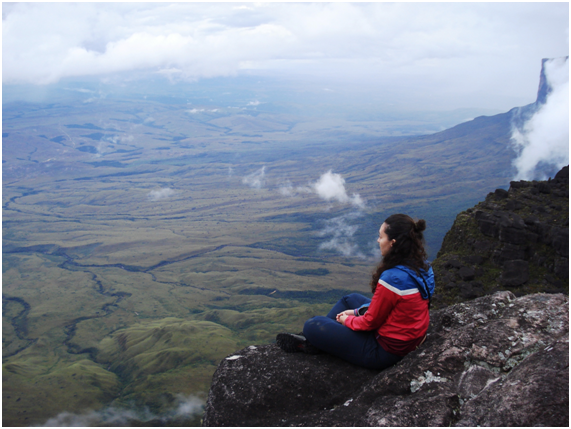 The last excursion at the top of the Tepuy took us to the Maverick, the highest point of Roraima, from where you can have an incredible view of the path to this natural wonder of Venezuela. There are however other routes that anyone with time can make: La Proa, El Laberinto, the lake Gladys Lake, the altotepuyanas caves Ojos de Cristal or the Southern System of Roraima and the Triple Point, on the border between Venezuela, Brazil and the Guayana Esequiba. 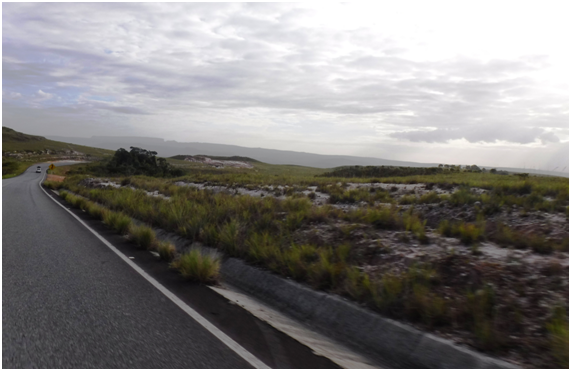 On the sixth day, we had to come down the “Great Bluish Green”, as it is also known the Roraima according to the natives. The travel to the bottom can take up to two days, the return to the Camp Rio Tök is made in only one day, we spent the night there and continued walking the next morning to Paraitepui. Although the return is harder, no one complains, the energy transmitted by this ancient piece of land is very powerful, body and spirit appreciate the journey. What an excellent trip! I have never heard of Roraima but it looks like an amazing place to visit. It must have been interesting to talk to the people with you as they came from so many countries and probably traveled a lot already. It seems like a tough hike to me and the changes in weather don't help much either (in my opinion). I'm glad to hear that no one fell into the river :) It wouldn't be that comfortable to continue hiking totally wet. That little frog is cute :) It looks like a small stone.. why couldn't you take those white crystals? Are they protected? I assume that they wouldn't let you cross the border with them then. Thank you for taking us on the tour. Your photos are great and your story is nice to read. :) Thank you! I appreciate your comment very much! Yes, it is forbidden to take those white beautiful crystals. 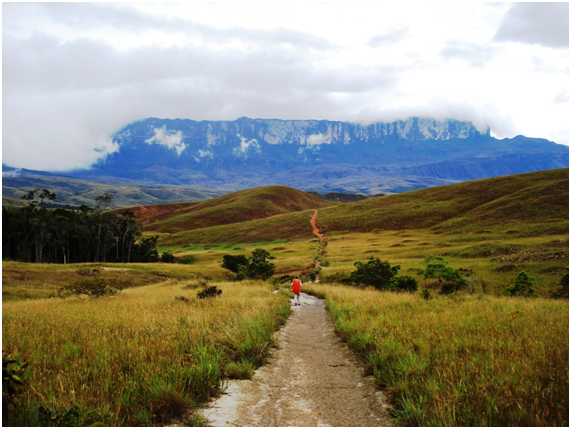 Roraima is a long trek but not so difficult, I think that anyone willing can do it. If it does not rain it's easier. I'm happy to spread such a wonderful place in my country. ¡Espectaculares fotos y extraordinaria descripción! ¡Felicitaciones! Es así, hay que tratar de conocer el país de uno y así quererlo y cuidarlo más. ¡Muchas gracias por pasar por acá, leer y comentar! Hello @sofathana! This is a friendly reminder that a Partiko user has just followed you! Congratulations! Congratulations! Your high-quality travel content was selected by @travelfeed curator @MangoNambo and earned you a reward, in form of a 100% upvote and a resteem. Your work really stands out! Your article now has a chance to get featured under the appropriate daily topic on our TravelFeed blog.